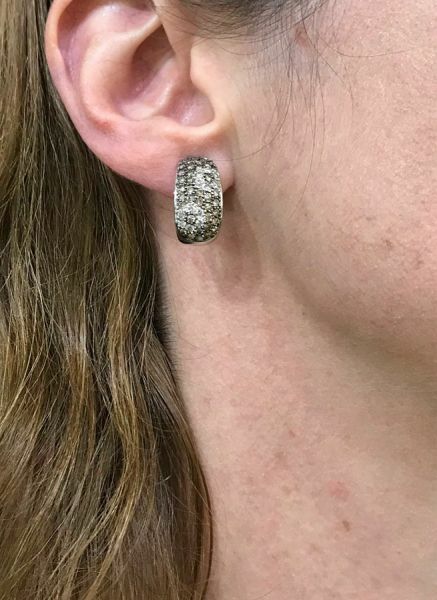 A stunning pair of Modern custom made 14kt. 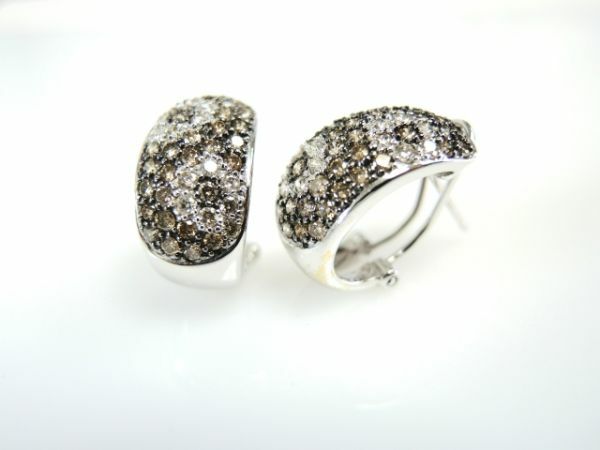 white gold huggy earrings, with 100 bead-set round brilliant cut colourless to light brown diamonds, est. 2.00ct. (SI-I1 clarity).